PVA can be used with a wide range of different dry additives, and even liquids if they are ‘PVA-friendly’. This is one of my favourite stick mixes, but don’t be afraid to include your own favourite ingredients. 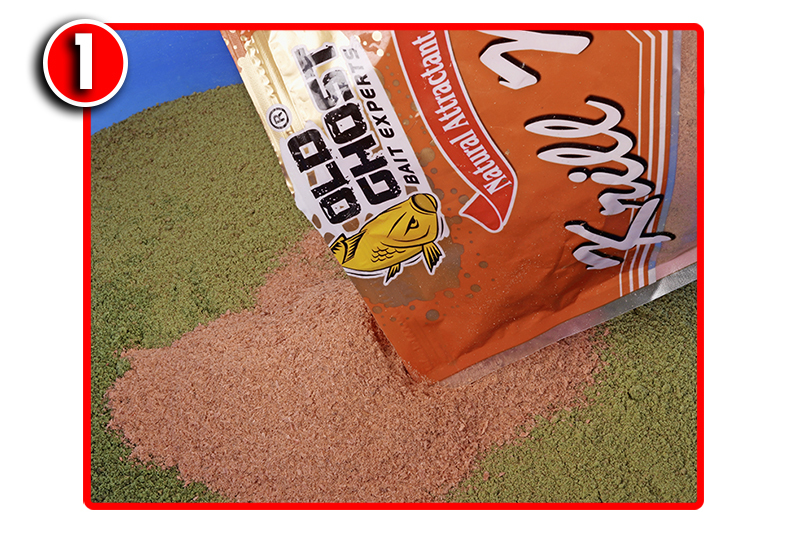 1) Grind up a handful of boilies into a fine powder. You can then either use these neat or mix them 50-50 with breadcrumbs. 2) Add your powdered additives to the boilie crumb. Make sure you mix well to evenly distribute the powerful attractors. 3) Add a few drops of boilie dip and mix well. The liquids will coat the boilie crumb and give an instant hit of flavour into the water. 4) Put about a tablespoonful of the boilie crumb into a fine PVA stick and compress it well down, using a plunger if possible. 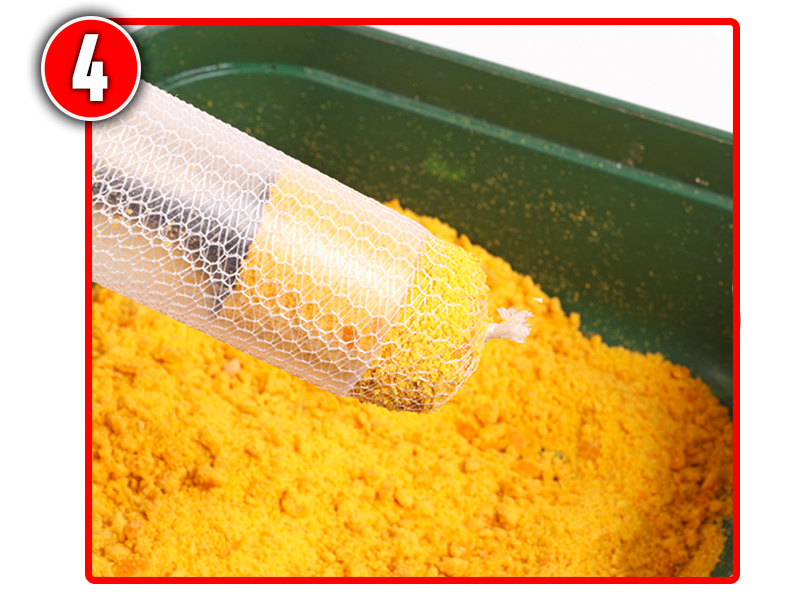 5) Tie off the end of the stick – the finished PVA should be about 20mm in length, just enough for a single mouthful. 6) Thread the stick on to your hooklength and pull the hookpoint into it. 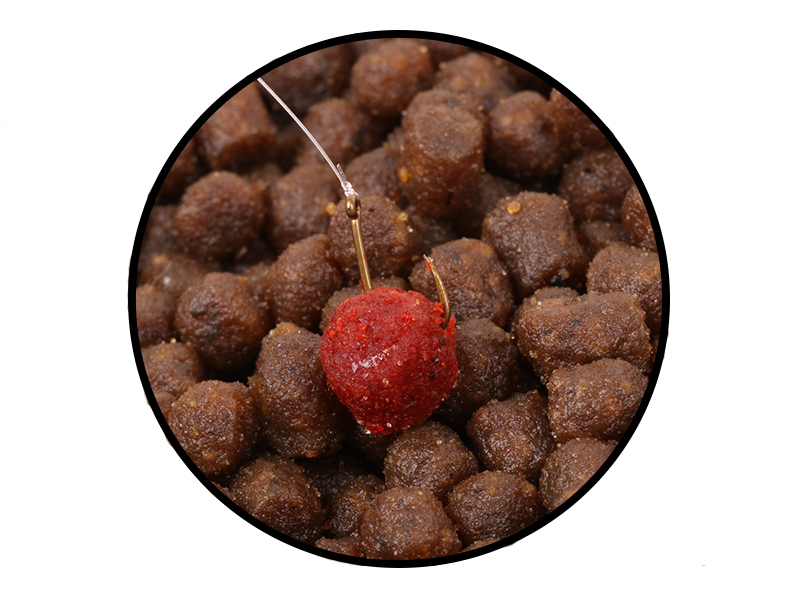 A contrasting colour of wafter hookbait will really stand out. Hemp is still a bait that so many anglers steer clear of when it comes to fishing for roach. The seeds are fiddly to get on the hook, and when the angler finally gets a bait in the water he’s unable to catch anything. That’s far from the truth. It may not every day that sees hemp work, but when you’ve got a swim producing a fish a cast on maggots and casters, there’s no reason why changing to hemp should lead to a halt in bites – provided of course, you’ve been feeding hemp from the word go. This week’s coach is a real blast from the past – Pete Jayes. The Leicester angler has enjoyed a glittering career stretching back to his days with Ivan Marks and the Likely Lads. “Whereas maggots and casters are best fished overdepth, I think hemp works brilliantly when presented just off bottom and run over just a few feet of a river swim as opposed to way down the peg. “I try and get the grain on the hook to act in the same way as the loosefeed underwater. 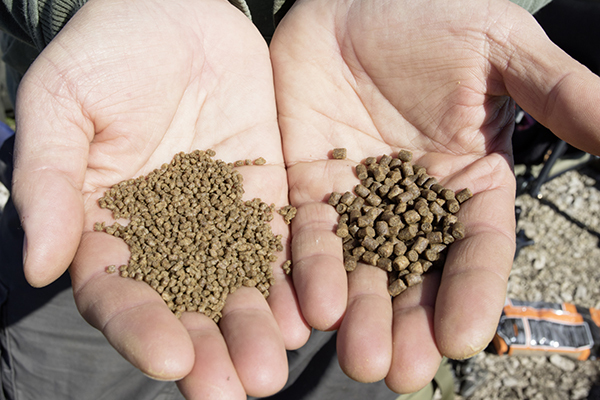 Hemp on the riverbed won’t move with the flow, due to its weight, so why should the hookbait? “I never fish hemp without having a few tares with me because they are a brilliant hookbait that picks out the bigger roach in the swim. They are a much bigger bait than a grain of hemp, and they’re also easier to get on the hook. “I always have two pole rigs on the go for hemp work because no two days are ever the same. “You have to try different depths and shotting patterns to make the hookbait behave as much like the loosefeed as you can. “Varying how many grains of hemp you loosefeed is the road to ruin. 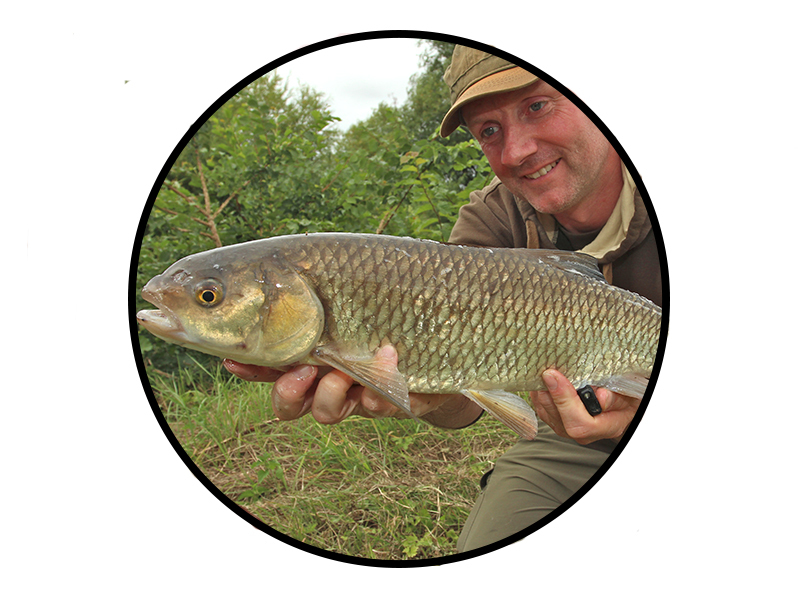 I reckon roach like a constant stream going in – the more regular the feeding is, the better the fishing will be, so I fire in around 12 grains every run through and never alter this. “In keeping with the delicate presentation that I am trying to achieve, my lines and hooks have just as much finesse. “A hook that’s too big and a line that’s too thick will make the hookbait act unnaturally underwater, so typically I fish 0.10mm mainline to an 0.08mm hooklink. “Your hooks should be very light as well, but they need to have a wide gape to help the hemp sit properly. When it comes to trying to bag up on bream, it's difficult to know what the best bait to use is. 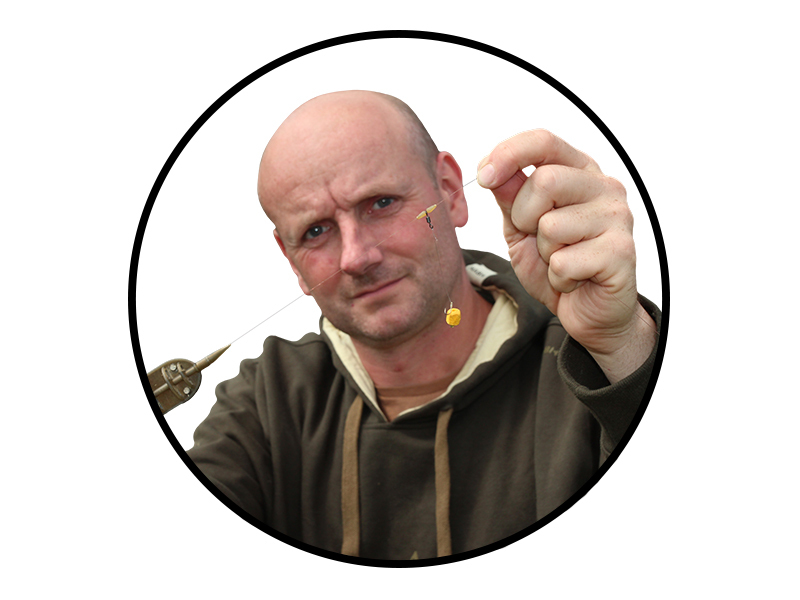 Wonder no more as we have gone to bait expert Dr Paul Garner to find out what the best bait is when it comes to bream fishing. On a natural river or gravel pit, 100lb of fish averaging 4lb is my benchmark for a seriously good session. My tactics are nothing revolutionary, but I do make a few tweaks that make a significant difference to my results. Bream are big fish that make a lot of wake as they move around – this can send groundbait and pellets in all directions. Rarely will a Method feeder deposit a neat pile of feed next to the hookbait, except if a fish cruises in and picks it up immediately. How far the bait spreads out and how long this takes depends on the number of bream in the swim. To combat this I pack some of the bait tightly on to the feeder and either leave the hookbait hanging free, or load it right on the outside of the feeder. Try it – your catches are sure to improve. Boilies and pellets seem to be becoming just as high up the menu for bream as they are for carp, but these baits are not always my immediate choice. 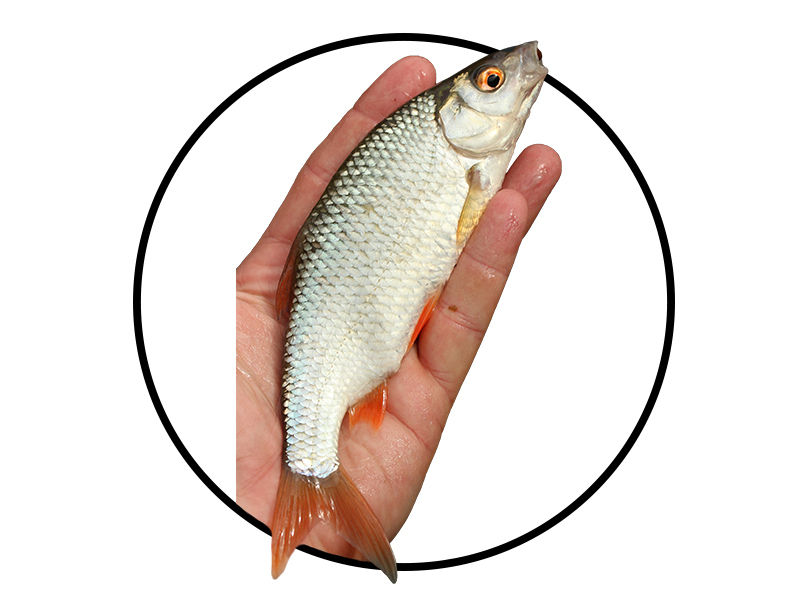 Sweetcorn is another very effective bream bait – and underused at that. With care, the classic combination of corn and a dendrobaena worm can be effective, but take care if you are fishing at range, as the shock of the feeder hitting the water can dislodge even these tough worms. A bunch of dead maggots is another useful alternative. I prefer red, as they stand out less well, making them less vulnerable to the attentions of silver fish. Four dead maggots on a size 12 hook is a formidable bream bait, especially when the water is clearer than I would like. I keep pellet hookbaits relatively small for bream. An 8mm pellet is about right, even for big slabs. Only when I’m targeting double-figure fish will I go bigger than this, as I feel I miss fewer bites on the smaller baits. Boilies follow a similar rule. An 8mm or 10mm bait is ideal for bream, preferably a wafter, as I am sure that I hook more fish on these semi-buoyant baits. The flavour of the boilie is almost irrelevant, as I will be boosting it anyway and this will mask the locked-in smell. 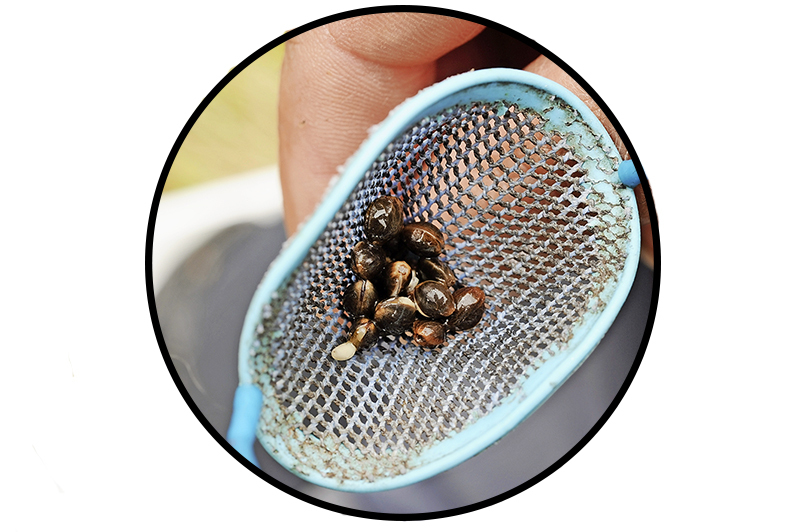 Pellets revolutionised bream fishing and today it would be difficult to think about not using these fishmeal-based baits. Within reason, the more oily the pellets, the more bream will be attracted to them. Halibuts are perfect, but expensive to use on their own, so if I want to prebait, for example, I will use them in combination with cheaper baits, such as corn and flaked maize. 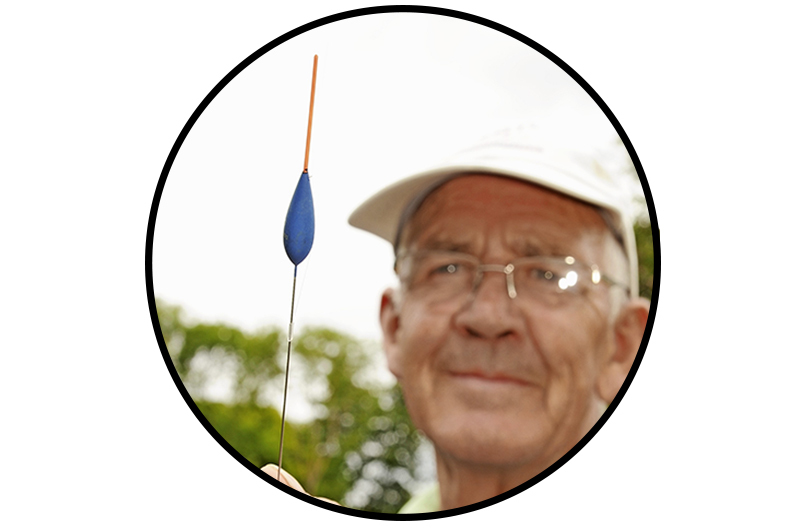 A spod is the bream angler’s best friend when fishing at range. If you clip up at the same distance as the rods that are actually fishing it’s easy to hit the spot every time, giving you a precisely controlled bed of bait. A spread of bait can be achieved in just 10 minutes, and it’s far more accurate than using a catapult. A bag of pellets and two tins of corn will be plenty for a day session or overnighter, as this will be topped up with bait from around the feeder. 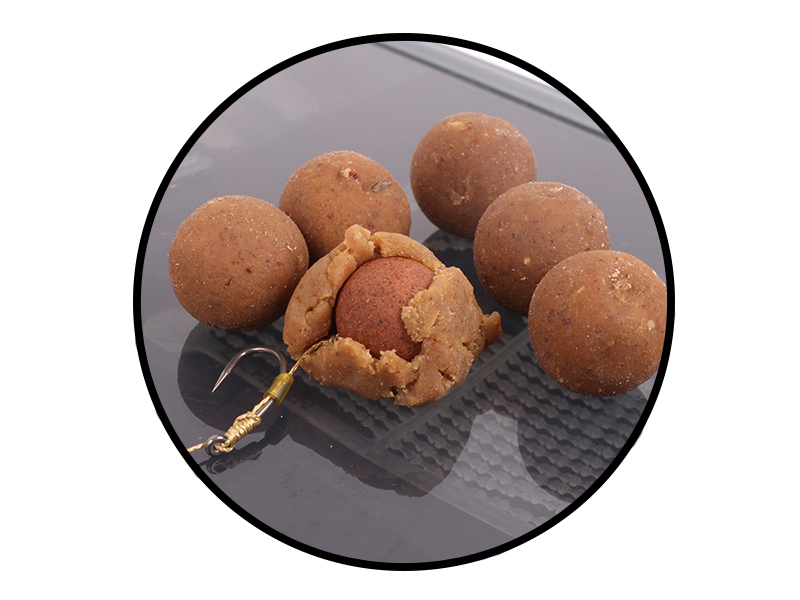 Plain brown crumb is the ideal base for groundbaits, especially if you combine it with liquid molasses to produce a classic bream combination. I like to use a 50-50 mix of crumb and a fishmeal-based groundbait such as Sensas Crazy Bait Gold, Dynamite Marine, or Sonubaits Supercrush. 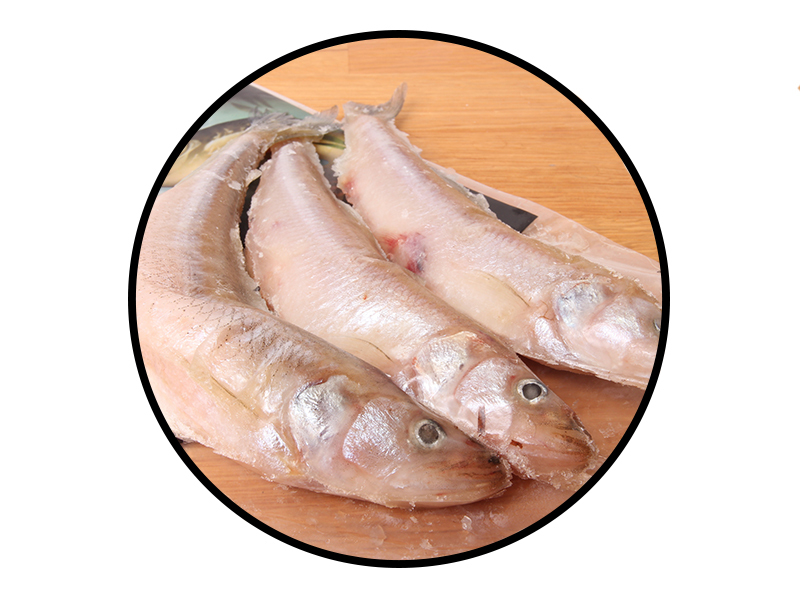 Combining savoury fishmeals with sickly-sweet liquids might seem strange, but bream love the unlikely mix. I guess that the sweetness takes the edge off the bitter taste that many pellets have, especially those that are high in oil. 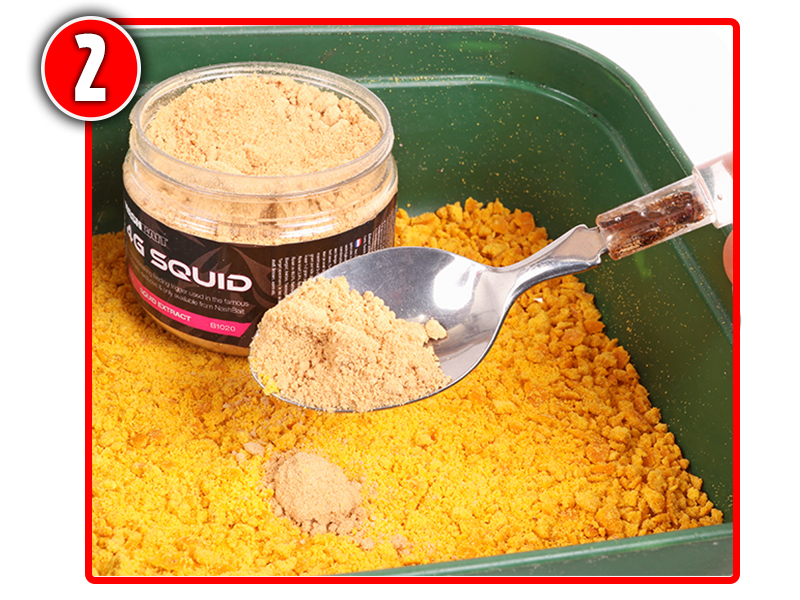 This combination creates a potent feed pellet, ideal for spodding out or using on a Method feeder. 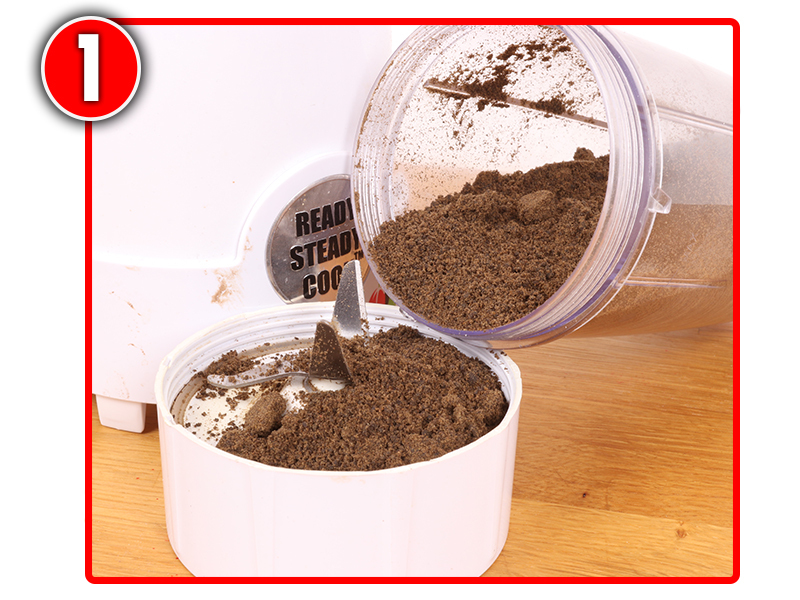 Use a coffee grinder to reduce a couple of handfuls of 6mm feed pellets to a coarse powder. 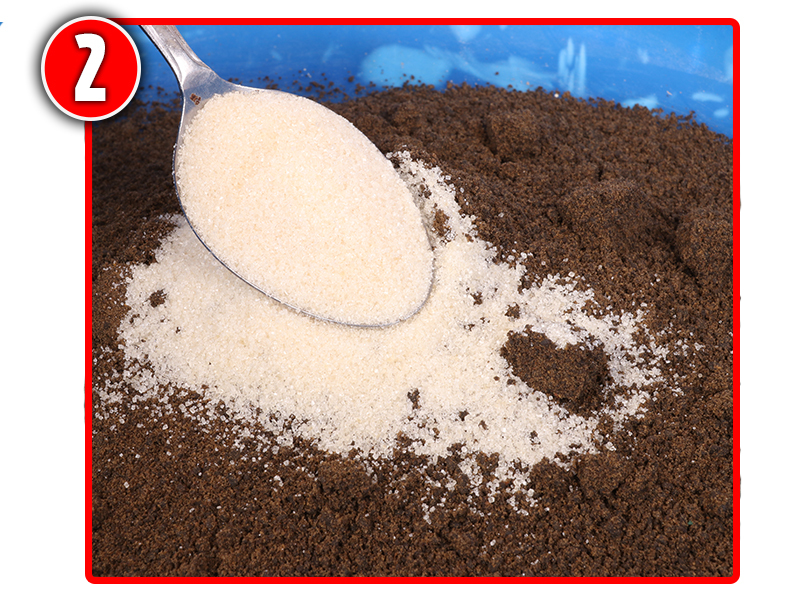 Add two tablespoonfuls of demerara sugar to the pellet powder and mix well. 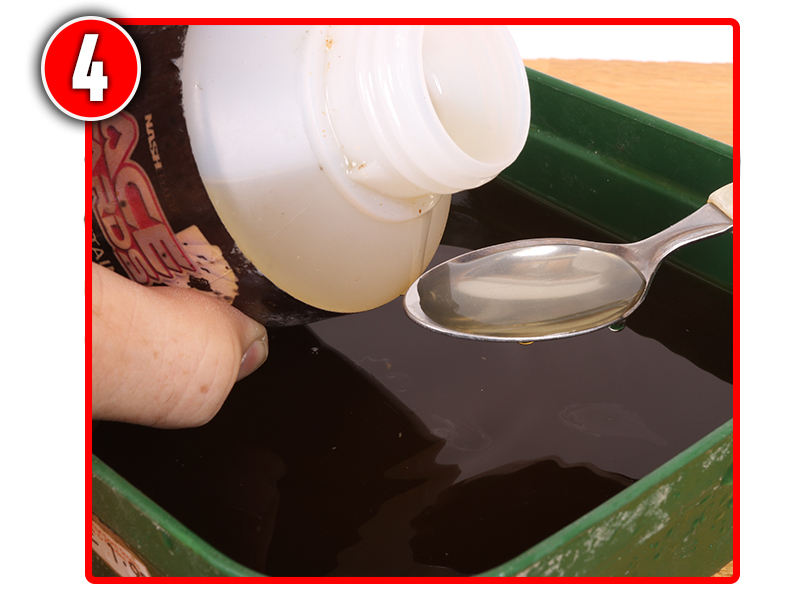 Dissolve two tablespoonfuls of liquid molasses in a pint of lukewarm water. Add a teaspoonful of liquid betaine to the water. Bream love the stuff! 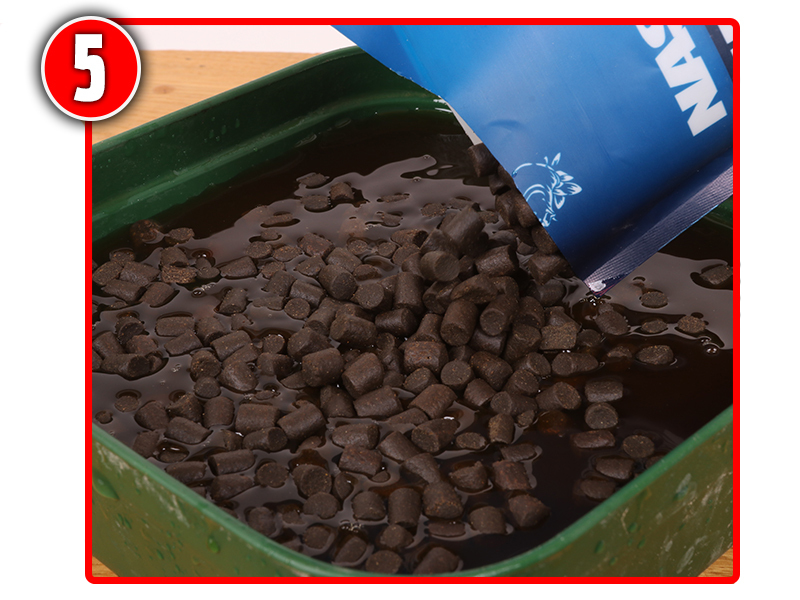 Soak a bag of 6mm feed pellets in the liquid for six minutes, then pour off any excess water. Add the powder mix to the damp pellets and shake to evenly coat the pellets in the powder. 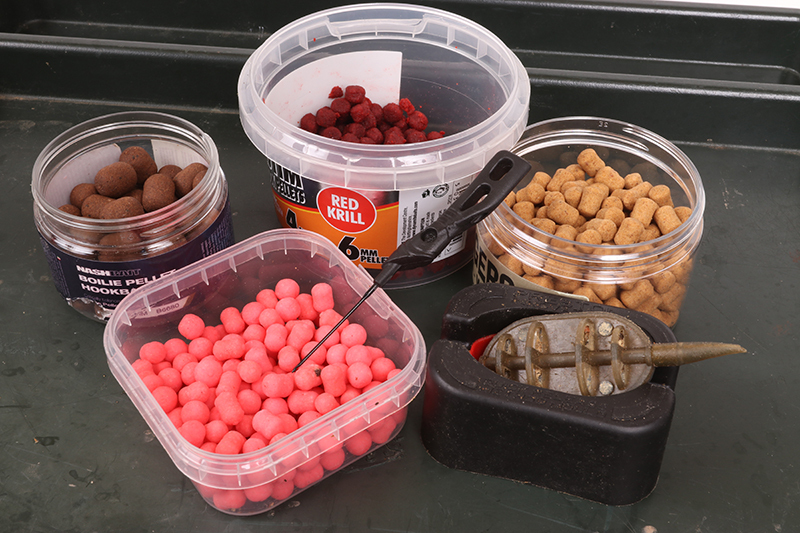 Dynamite Baits specialist Paul Elt has got a great bream spod mix recipe that will pull the slabs into your swim and is a key part of you trying to land a specimen bream this season. 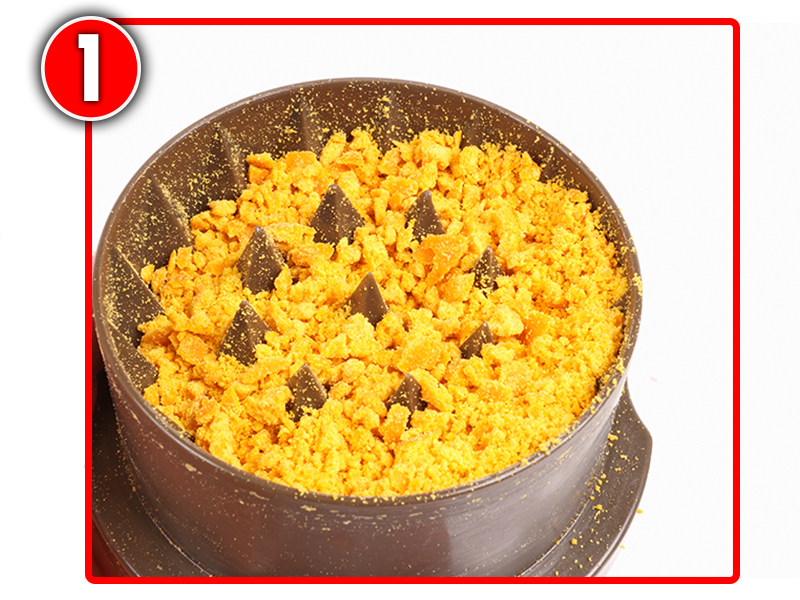 Follow our simple step by step guide below to create this irresistible spod mix. 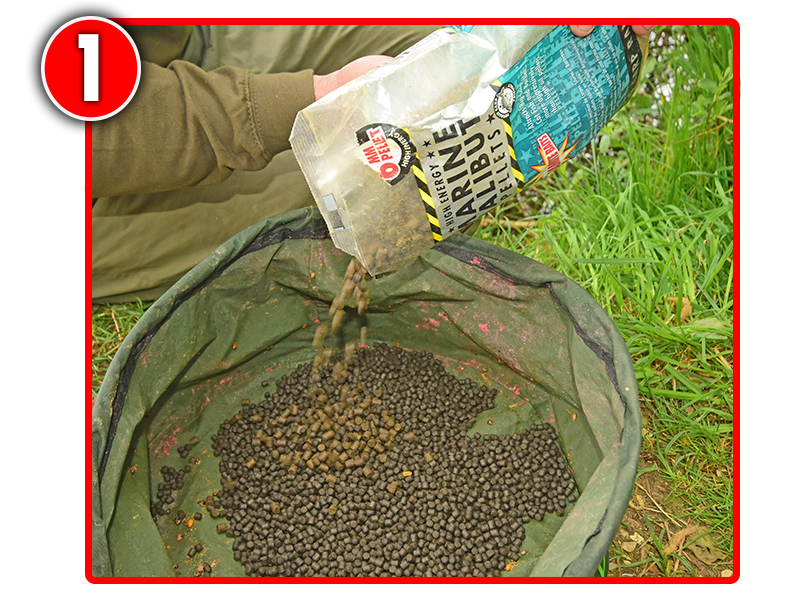 Mix 1kg each of Dynamite 6mm Halibut pellets and 4mm Halibuts. Add a bag of CSL Spod Mix to the 2kg of pellets. Two or three tins of corn give great visual appeal to the mix. Half a jar of Frenzied Hemp goes into the mix, plus all the juice. 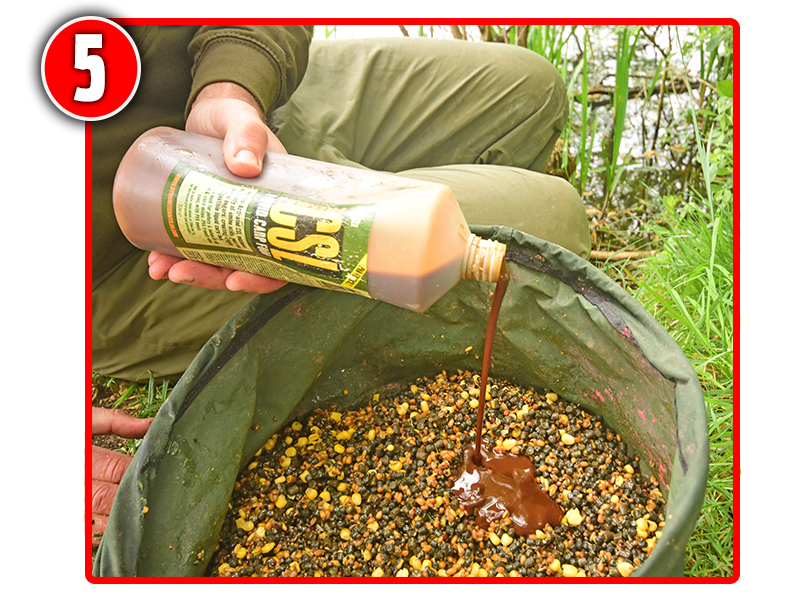 Finish off with a good glug of CSL Liquid Carp Food. There are few cheaper and more effective baits for commercial fishery carp at this time of year than sweetcorn. A large tin from the supermarket will set you back less than a pound, but it can provide enough bait to last the best part of a session. Corn is highly effective for a number of reasons, and high on that list is its bright colour and softness, especially when compared to a 6mm pellet or a cube of meat. The colour makes corn stand out when fished on its own or over a bed of another feed, while its softness is much loved by all fish. It’s also not particularly filling, as a grain of corn boasts a high water content so carp can trough away for hours without getting full. It’s also brilliant for other species, with bream, tench and even quality roach all loving the yellow stuff! In its natural form, corn is bright yellow, and that’s perhaps the main reason for its effectiveness. 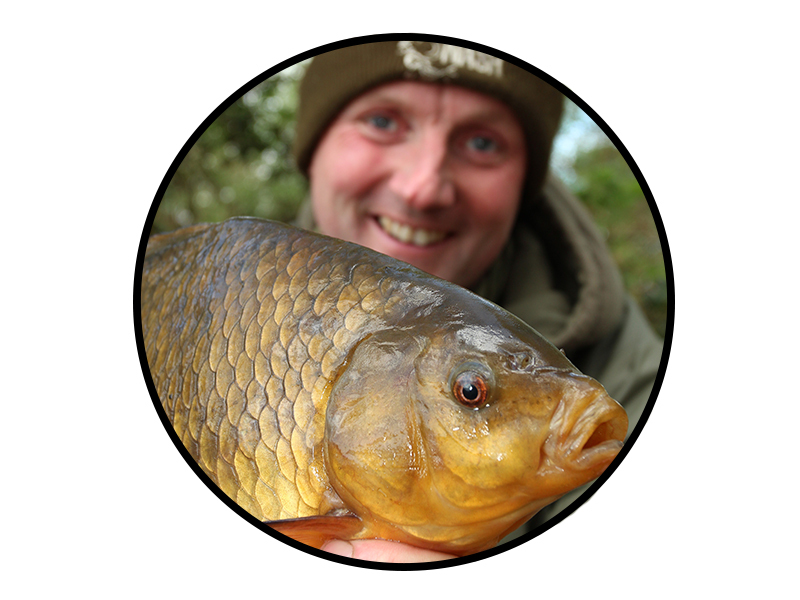 Even in coloured water, fish can easily pick out a grain, and if the lake is slightly clear, this ‘high-viz’ quality comes even more to the fore. However, you can buy corn in different colours and flavours, and on some waters red corn will outfish yellow. If you’re not sure which colour to use, arm yourself with a variety and keep changing on every cast until you catch – even green corn can have its day! Compared to a maggot or a pellet, corn is a big bait, so you need to match the size of the hook accordingly. On the strike, the hook will pull through a soft piece of corn but you’ll need to be able to mount the bait properly so it stays on during the cast. Pick a hook with a wide gape as this will allow the bait to sit comfortably on the bend, while leaving a decent amount of the hookpoint on show. This will aid hooking when the float goes under. In terms of hook size, a 14 or 16 will be just about perfect. Corn is quite a heavy bait, so this means you have to think big when it comes to floats, especially when fishing in open water. If your float is too light then the presentation will be unbalanced, and the fish will sense this. On the pole, pick a float with quite a big body, such as a rugby ball or diamond shaped one of 0.5g to 0.7g, dependent on the depth. When fishing the margins this can be smaller, but certainly no finer than a 4x12 pattern. Shot this with a bulk and one dropper shot and set the rig so that the corn is just resting on the bottom. 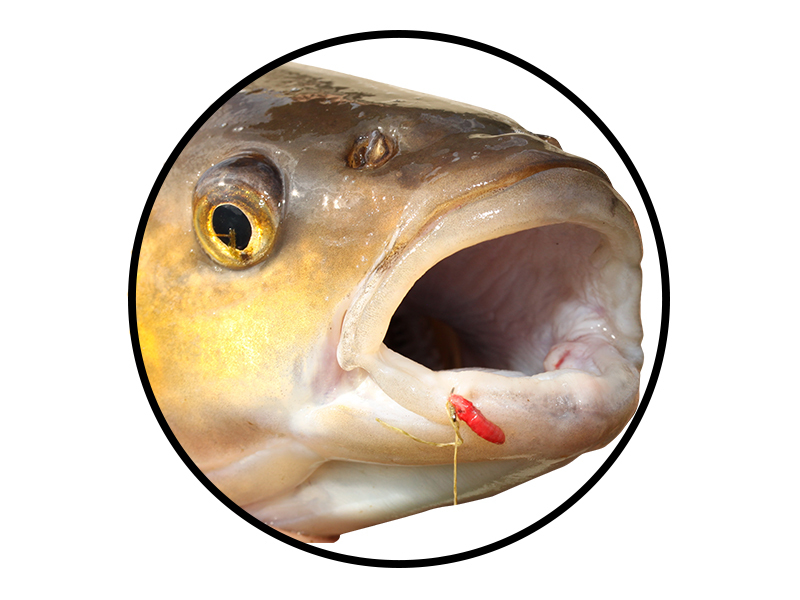 Fished on its own, corn is deadly, but it can be improved by feeding it with other baits. Hemp is brilliant when fed to create a bed on the bottom, over which corn hookbaits are fished to really stand out. Cubed 6mm meat is another winner at this time of year, mixed 50/50 with corn as feed. You can also pop a few grains into chopped worm and caster feed and this will give you the option of changing from a worm hookbait to a piece of corn if small fish are a problem. There is a right way to hook corn, and although you can simply nick the hook through the side, it will eventually work loose and be hanging on by a thread. 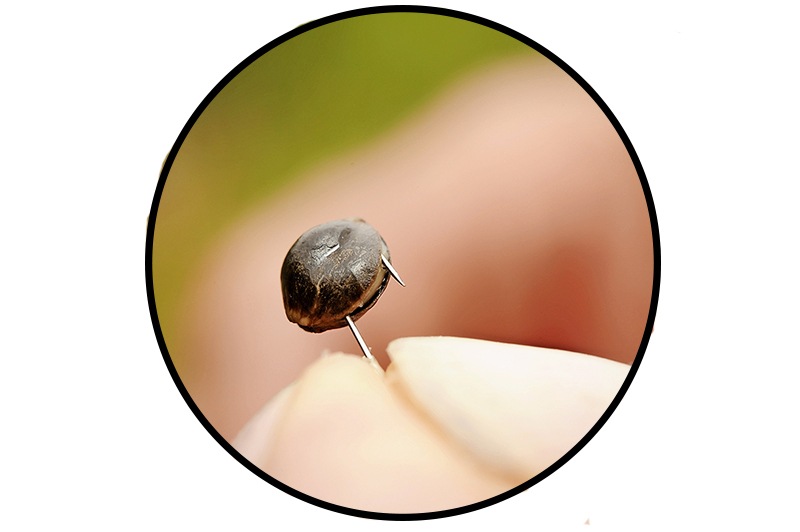 The best way to mount a grain of corn is to pierce it through the rounded end and work the hook down the grain so it comes out of the flattened bottom end. This ensures that all of the shank and most of the bend is inside the grain, leaving just the hookpoint on show. Using double corn also adopts the same principle. Should you be faced with fishing the far side of a snake lake or a shallow margin, corn can be transformed into a superb shallow-water feed. All it needs is a food blender to whizz the corn about for a few seconds to chop it into smaller pieces. When fed, it’ll create a lingering cloud, while the larger pieces will sink that bit slower. You can even go the whole hog and blend the corn into a sloppy soup that’ll put a bigger cloud into the swim. This works particularly well if the fish are feeding off the bottom.